How do I edit the Blocked Number Settings of an extension via iOS? Blocked Numbers will not be able to call or send faxes to your extension. 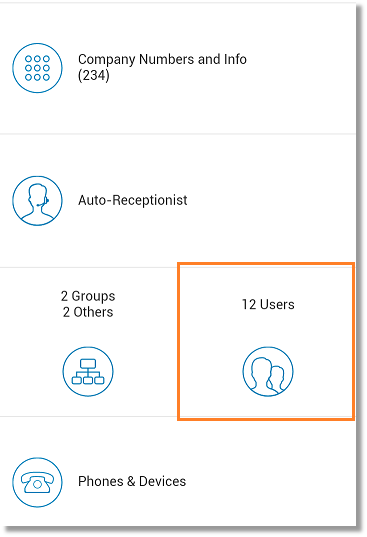 This article will guide you on how to edit this feature on the Office@Hand Mobile App. IMPORTANT: Calls blocked to the main administrator extension will apply to the company as well. Note: You need to be an account administrator to perform the following procedure. Launch your Office@Hand mobile app on your device. Tap Screening, Greeting & Hold Music. 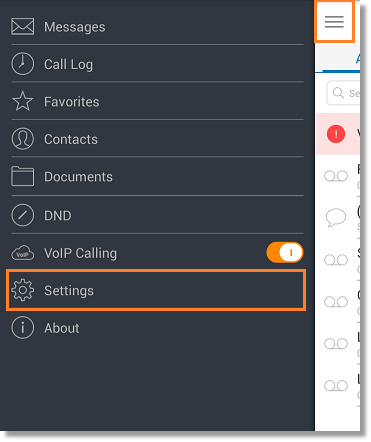 Click Blocked Calls and customize your blocked call settings. 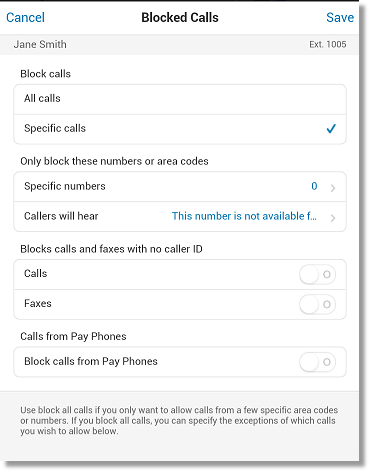 Block specific calls and faxes – Select this option if you want to prevent certain numbers from calling you. 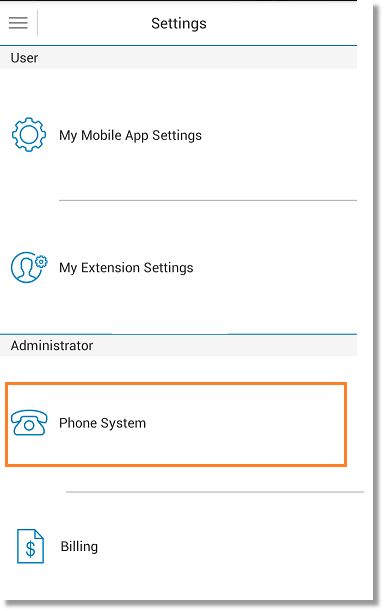 Only block these numbers or area codes – Block calls from specific numbers or selected area codes and customize what callers will hear. You have now edited an extension’s Blocked Numbers settings on your mobile app.